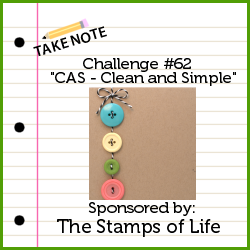 Smithereens: Wee Memories Challenge and some other crafty goodness! Wee Memories Challenge and some other crafty goodness! Hello crafty friends! Happy Friday! I'm really enjoying being able to share projects with you again, now that life has calmed down a bit! First of all, I wanted to share with you all that I was the lucky LUCKY winner of Kim Wilson's Relay for Life prize pack over on her blog -- which included 8 or 9 stamp sets, adhesives, distress ink, pens, and even more goodies! I got the package in the mail not too long ago, and so I wanted to get inky right away! I am super proud of this card! 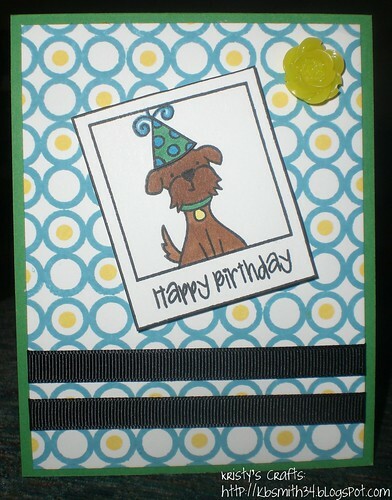 I really enjoyed blending my Wilson Designs and Lawn Fawn stamp sets! Although the design is CAS, I did a lot of work on this card to make it fab! The background is hand-stamped, the polaroid was masked off and the party hat was paper-pieced, AND that little yellow flower was also made by ME! =) It's a homemade resin flower!!! Anyhow, I'm really happy with how the whole thing turned out! 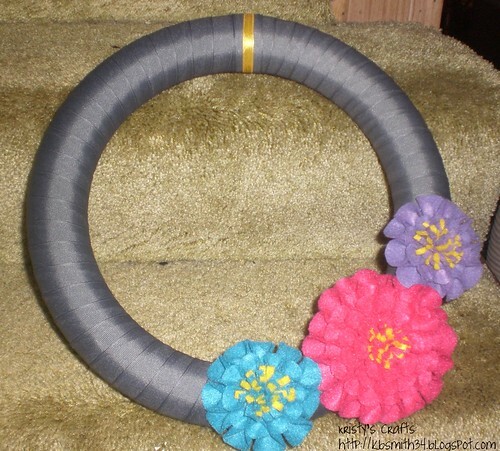 This is an amazing wreath Kristy! !